Bealtaine and the bright half of the year – with commemorations. 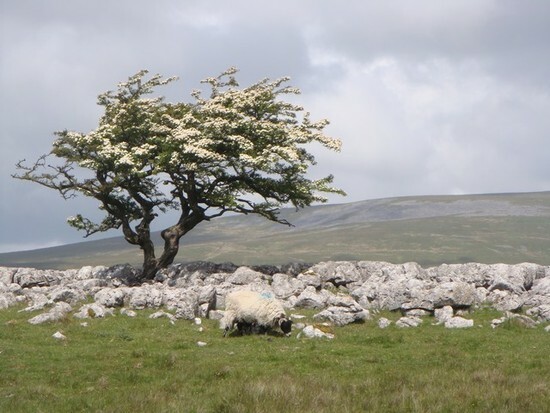 The white blossom of the hawthorn tree marks the arrival of summer in Ireland. 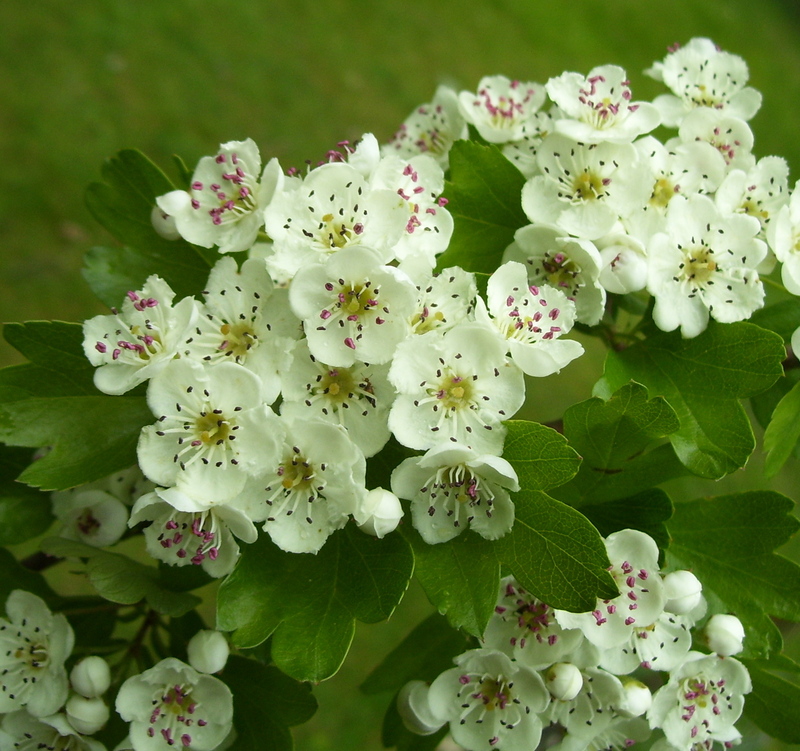 The hawthorn or May Tree is associated with the festival of Bealtaine. The tree shown here is growing in the Burren in County Clare. As I noted at the end of October last, the ancient Irish divided the year in several ways, but one of the main divisions was between the dark half of the year and the bright half of the year. Samhain, at the end of October and beginning of November, marked the beginning of the ‘dark half’ of the year. Bealtaine, usually celebrated around the beginning of May in the modern calendar, marked the beginning of the ‘bright half’ of the year. It also marked the beginning of the peak period of production of milk – this was the festival that marked the annual booleying, the movement of cattle into the outer or upland pastures for six months. Milk was a critical addition to the ancient Irish diet, giving a crucial boost to the intake of protein before the cereal harvest and annual slaughter of excess livestock in the autumn. Symbolically, just as at Samhain, the denizens of the underworld were particularly active at Bealtaine and to protect the cattle from any ailments, or fairy mischief, they were driven between two bonfires. This ritual bonfire was a key part of the festival. It is likely that this bonfire tradition has mostly died out, but I recall that sometimes there were bonfires in some communities in Limerick city – this is unusual because such traditions are normally thought to survive in rural communities! The flowering of the hawthorn tree is a very visible reminder that we have entered the brighter and warmer half of the year. The tree usually blossoms around Bealtaine. The white blossom of the hawthorn tree is the floral equivalent of the bealtaine bonfire. Because it usually blossoms around the beginning of May, it is also called the May Tree. It is considered unlucky to bring the haw blossom into the house, but some people still decorate locally regarded hawthorn trees, decorating them with ribbons or other amulets. Nowadays in Ireland, Bealtaine has been transformed into a month-long festival of creativity as we age – it is a festival for our senior citizens to get out and do something different! Mullingar in County Westmeath has a Festival of the Fires – given that Mullingar is near the ancient site of Uisneach a site that was anciently associated with the festival of Bealtaine.. The Festival of Fires is a modern attempt to celebrate Bealtaine in Mullingar and at the ancient site of Uisneach in County Westmeath. 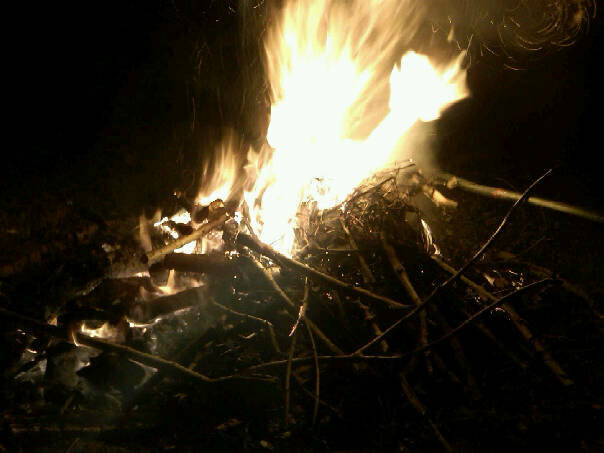 Sadly, Bealtaine in 2015 was marked by a very cold wind and outbreaks of rain – indeed, for the first day of summer, in traditional parlance, 1st May 2015 in Ireland was a day to be indoors beside a roaring fire! But then, ‘summer’ in Ireland means that it gets bright around 5.30 am and stays bright until after 9.00 pm. It has nothing to do with clear dry and warm sunny days – these should be regarded as a bonus! The week just gone was one of showers, winds and sunshine – a very Irish mix! 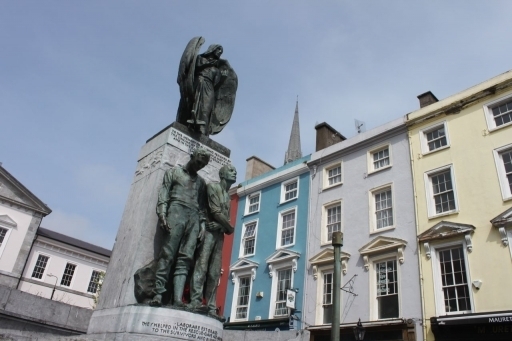 Lusitania Memorial in Cobh (formerly Queenstown). The first week of May this year saw events linked to the centenary of the sinking of the Lusitania. Courtmacsherry, the Old Head of Kinsale, Kinsale itself and Cobh (formerly Queenstown) all saw events to commemorate the dead of the Lusitania. President Higgins was joined by the ambassadors from Uk, USA, Germany and France for the commemoration in Cobh on Thursday 7th May. Last Wednesday I attended a day long conference organised by Gabriel Doherty of the School of History of UCC. Starting at 9.10 am, it drew a full crowd. By lunchtime it was standing room only. The questions addressed to the various speakers from the audience were indicative of the enormous interest that people had in the subject. This Decade of Centenaries is a welcome addition to the social life of our communities, especially since it gets people asking questions about the history of their communities and families a century ago. Hopefully it will lead to new discoveries as more information is uncovered. 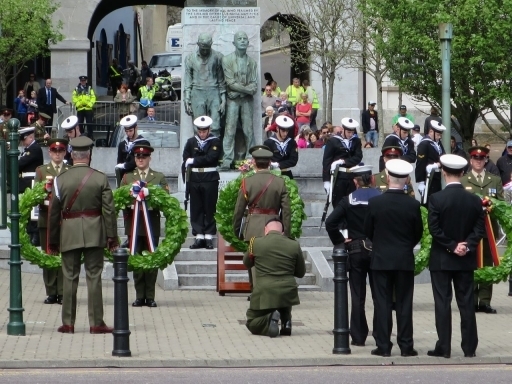 It is worth remembering that only a fortnight ago we recalled the landings at Gallipoli – a reminder that various events in World War I overlapped. .
Irish military and naval personnel at the official ceremonies commemorating the sinking of the Lusitania on 7th May. The Murdered Man on his Black Horse – a memory of the 1641 rebellion in East Cork folklore? Ightermurragh Castle and Early Modern Imokilly. Short Course on Family History in Midleton. Happy Christmas to you all! Midleton College – a School from Scandal. The Midleton and Ballinacurra Historical Society is officially launched! At Last! 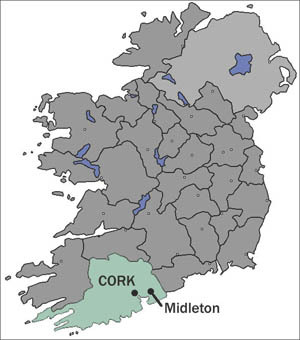 A local historical society for Midleton and Ballinacurra. Mayhem and murder on Skellig night – the Fenian Rising in East Cork, March 1867. General John Joseph Coppinger, US Army.